Spring is nearly here! And this season brings warmer temperatures, longer days, and the peak of Aspen's second-favorite snow-centric activity: apres ski. After a day on the mountain, those in-the-know grab a seat on a sunny patio, catch some rays, order a cold drink and some snacks, and share tales of the day of skiing. Aspen is full of amazing places to apres, known and unknown. Here are our top six places to pull up a chair after a day on the hill... ski boots optional. You can't ski Aspen Mountain and NOT see the masses gathering at Ajax Tavern starting in the early afternoon. The premier place to "see and be seen" on a suny spring day, the Tavern has a large outdoor deck to gather with friends until the sun drops behind Shadow Mountain. On weekends in the spring, Ajax Tavern features "Cliquot In The Snow," a celebration of spring skiing with drink specials from Veuve Cliquot and DJ Dylan on the ones and twos. In its third year on the scene, Shlomo's has made the most of having the other top spot for Aspen Mountain apres. Located on the other side of the gondola from Ajax Tavern, Shlomo's also has a bevvy of outdoor seating and space that flows seamlessly to the indoors. Table dancing and delicious cocktails keep the party going until late into the afternoon in the spring. And since Shlomo's has some of the best breakfast in town, you may find yourself right back there in the morning. 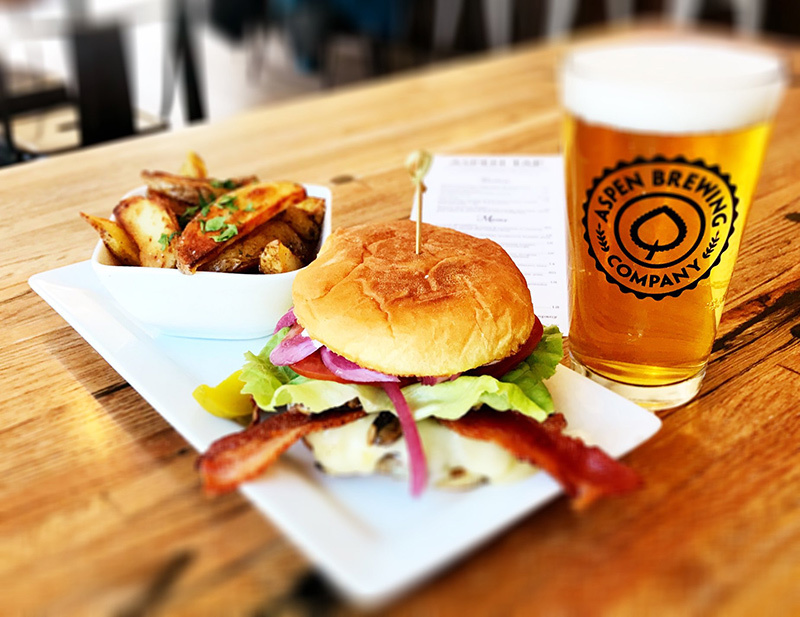 The tap room from Aspen Brewing Company opened in 2018 and is the place to go for great food and locally brewed beer in a casual atmosphere... with no funny looks if you happen to be in your ski boots until the wee hours of the night. Aspen Brewing Company has won multiple awards for its unique craft beers, so beer lovers will have no problem settling in to watch a game or simply enjoy a tasting flight after a day on the moutain. Live music often provides background ambiance, and the delicious chicken tacos will feed your hunger built up from skiing. For those looking for a more elevated experience, the new Mountain Social in the lobby of St. Regis Aspen Resort offers a refined setting for apres ski. Live music sets the tone of the afternoon, and a daily champagne-sabering ritual -- a tradition started by John Jacob Astor when he founded The St. Regis New York in 1904 -- happens at 5:15 p.m., marking the transition from day to night in the winter and spring months. Where do families go for apres ski? The answer is the Limelight. With live music, wood-fired pizzas, drink specials, and board games galore, the Limelight lobby welcomes guests of all ages to kick back and relax in its spacious venue. An historic staple of Aspen, the Red Onion should not be missed by history buffs and good, old fashioned bar-lovers alike. 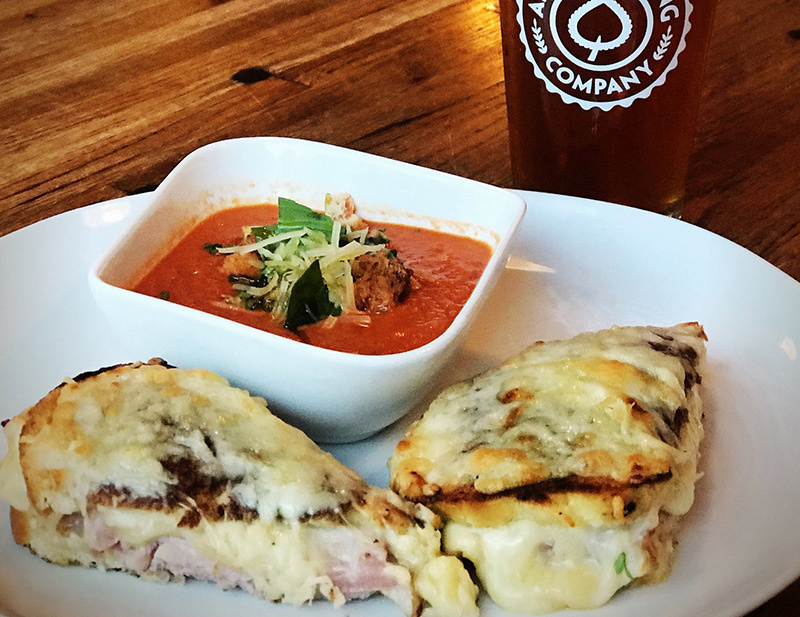 Established in 1892, the Red Onion has been dishing out beers and grub for skiers fresh off the mountain for more than 100 years. While the faces behind the bar may change throughout the years, the laid-back vibe and appreciation for all things skiing stays the same. For years, the Sky Hotel played host to the rowdiest apres scene in all of Aspen ( and perhaps all of Colorado). Surrounding the pool on any given day, apres revelers young and old would gather for beers, cocktails, shots, and inevitably... jumps into the pool. Many locals would ski with their swim suits on underneath their outerwear to partake in a dip in the hot tub with a cold beer in hand. Sadly, the Sky Hotel is no more. It is being replaced with a W Hotel, and the apres scene in Aspen has yet to see if the new space will live up to the old memories. Are you inspired to join us in Aspen this spring? Start planning your Aspen ski vacation by searching our vacation rentals online. Or contact our Reservations Team for personalized recommendations.